When you see that forecast gives rain in winter time you do not have to think negative. 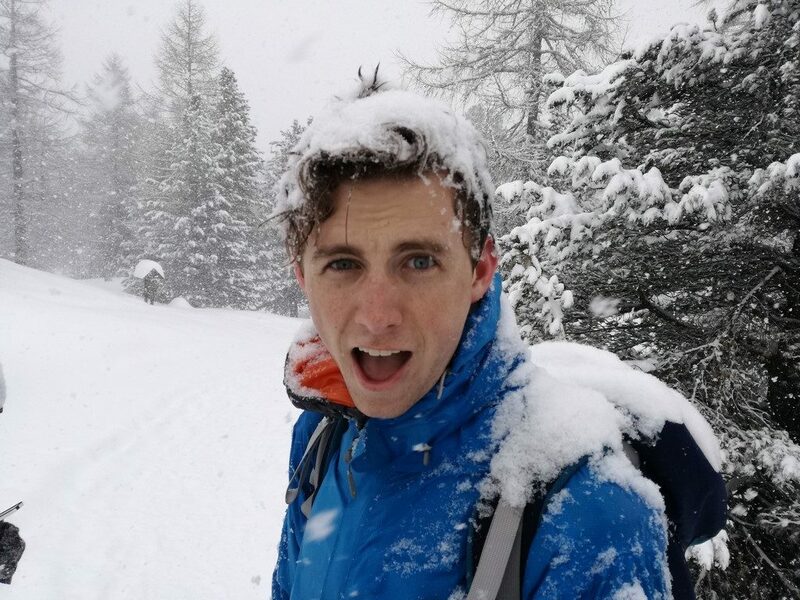 Rain does mean snow in mountains and even though there are less big view landscapes, a day hike in heavy snow is an amazing experience that everyone should do at least once in life. So do not trust people saying that there is bad weather. There is not bad weather in the mountains. It is just about to choose the right place and go with the right mood into the mountains. And for sure that was the case of the nice group of American students coming from Reggio Emilia this weekend. 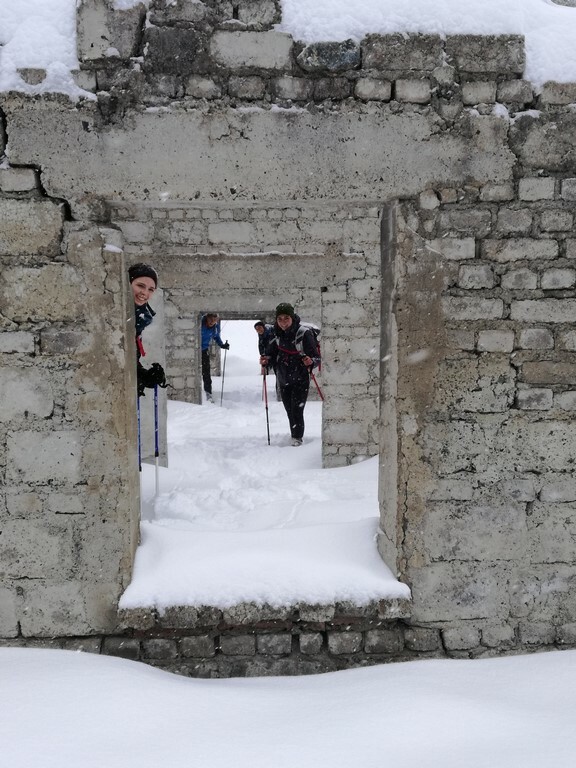 They share the costs and we enjoy a marvelous day trek in the snow. 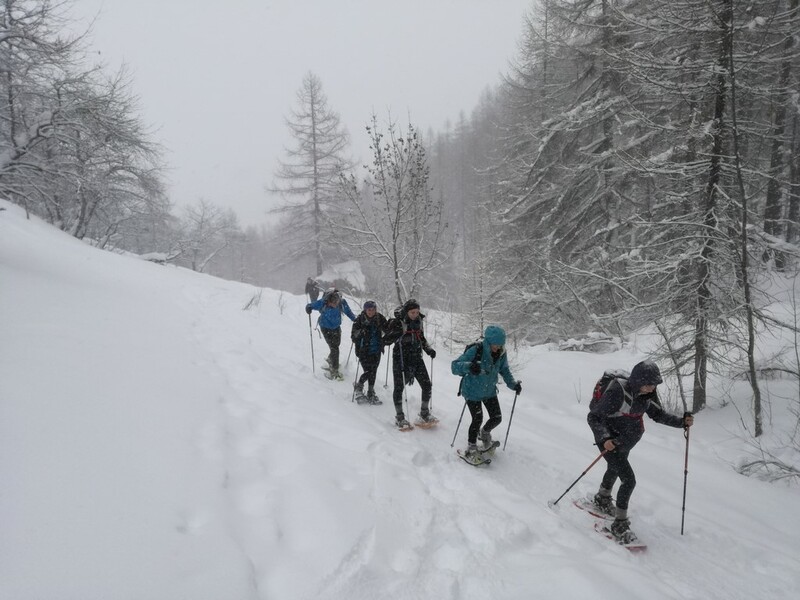 In order to choose a day trek from Torino you need to consider many vairiables, especially in winter. By the way there is always a place that certainly worth the visit and worth a day hike. The weather forecast was just rainy all day in torino. 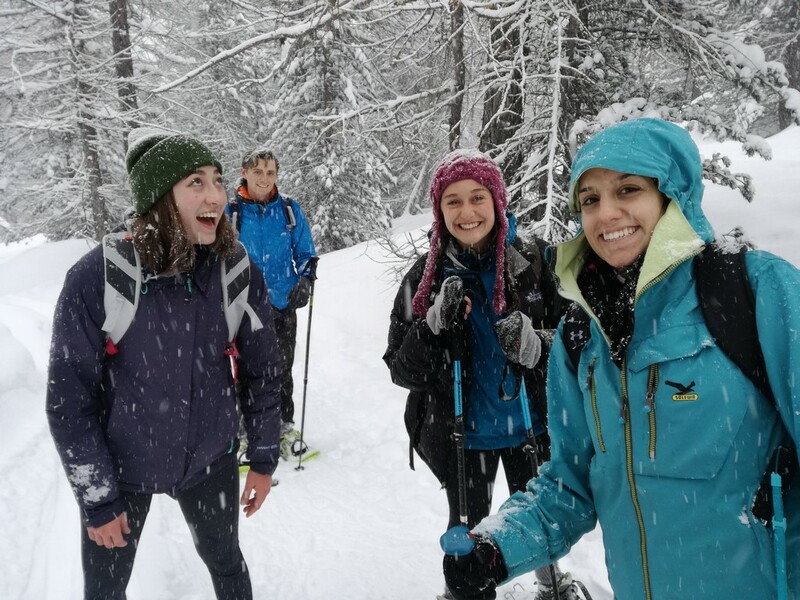 So I choose to move up where the rain was snow and the snow made our day hike from Turin a marvelous experience. 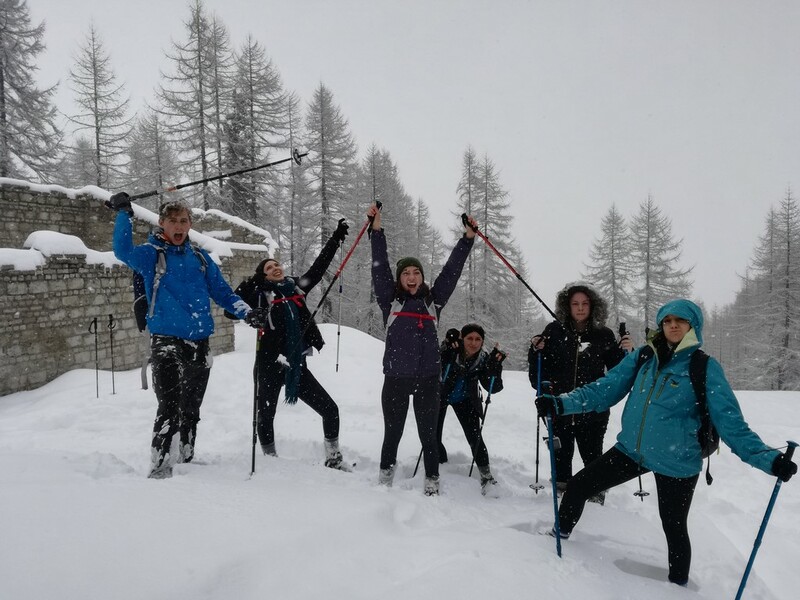 We’ve been eating escellent polenta in the Mautino shelter at 3 kilometers from French border and we’ve enjoy a 6 hours hike in the middle of the snow. “Rolling” down the mountains was super fun and it was a real pleasure to share this experience with this smart, funny guys with whom I felt like an old friend. Doing a day trek is always a good idea. It does not matter if it is winter or summer, if it rains or it is sunny. 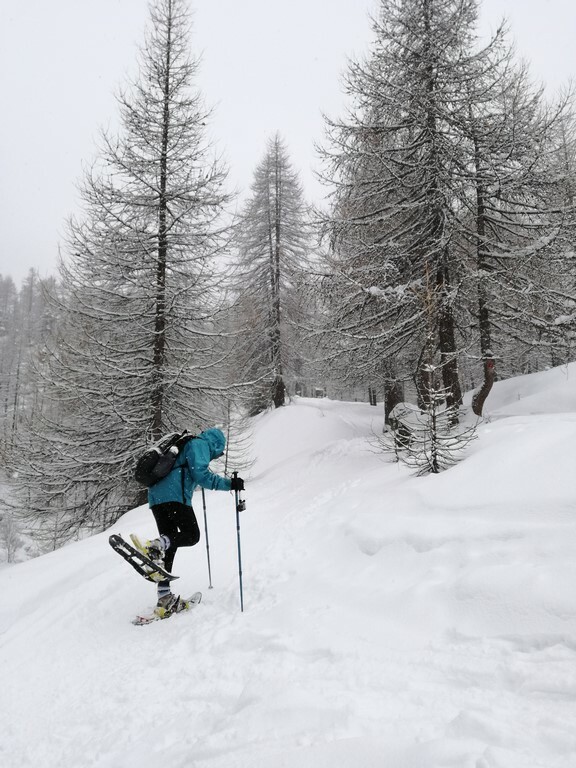 This heavy snow day trek from torino it is certainly the proof that any time is good for a hike in the Alps. Weather you are an Exchange students or anyone else! Thanks and see you in the Alps!